Forugh Farrokhzad (January 5, 1935 – February 13, 1967) was an Iranian poet and film director. Forugh Farrokhzad is arguably one of Iran’s most influential female poets of the 20th century. She was a controversial modernist poet and an iconoclast. Forugh was born in Tehran, she attended school until the ninth grade, then was taught painting and sewing at a girl’s school for the manual arts. 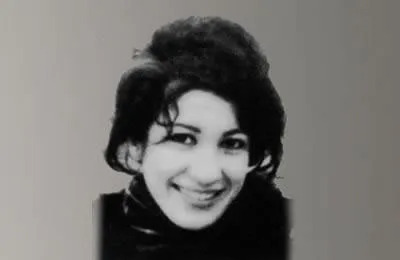 Farrokhzad, a female divorcée writing controversial poetry with a strong feminine voice, became the focus of much negative attention and open disapproval. In 1958 she spent nine months in Europe. She published two more volumes, The Wall and The Rebellion before traveling to Tabriz to make a film about Iranians affected by leprosy. This 1962 documentary film titled The House is Black won several international awards. During the twelve days of shooting, she became attached to Hossein Mansouri, the child of two lepers. She adopted the boy and brought him to live at her mother’s house. In 1964 she published Another Birth. Her poetry was now mature and sophisticated, and a profound change from previous modern Iranian poetic conventions. At 4:30 p.m. on February 13, 1967, Farrokhzad died in a car accident at age thirty-two. In order to avoid hitting a school bus, she swerved her Jeep, which hit a stone wall; she died before reaching the hospital. Farrokhzad’s poetry was banned for more than a decade after the Islamic Revolution.